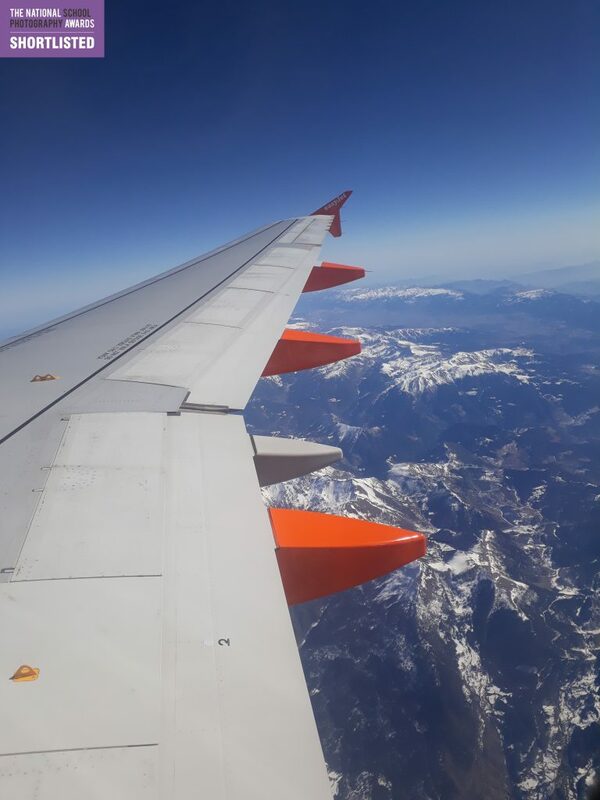 When Year 9 student Alicia was flying back from our ski trip to Andorra, her creative eye saw this potentially award-winning photograph as her ‘plane was crossing the Pyrenees. She entered her photograph into the students’ category entitled ‘Our Changing World’ of the National Schools Photography Awards, students. Alicia’s achievement is all the more remarkable as the competition, sponsored by FSE Design, attracted hundreds of entries and their team of designers and photographers spent a full day shortlisting the entries to arrive at just 25 photos across the three categories. It sounds like they had quite a difficult task as they say they have been really impressed with the quality of photos and the technical ability demonstrated – and Alicia’s photo is among them! Judging takes place over the Easter holidays – Alicia, you should feel very proud for being shortlisted to the final round, good luck!